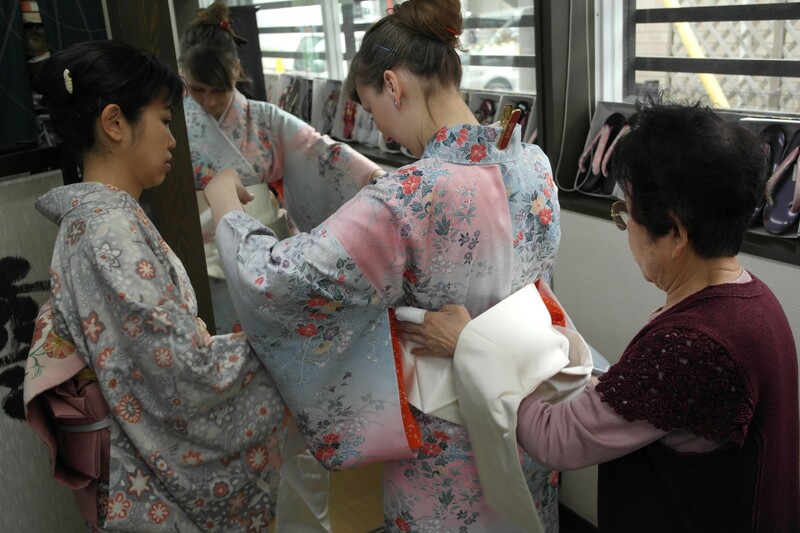 Thank you for your visiting my home Kimono salon web-site. 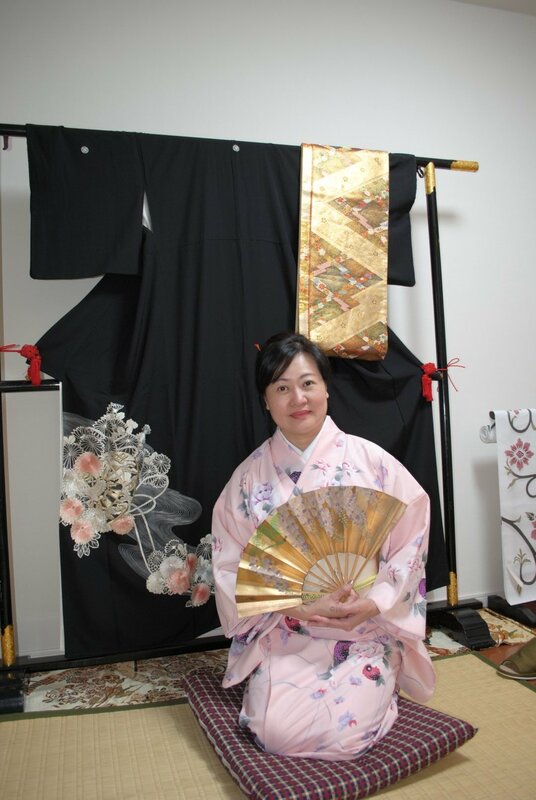 I am Kahori K Ochi who is trying to share the Kimono with all over the wold since I trust that Kimono is art of peace and through Kimono culture we can achieve more peaceful world. 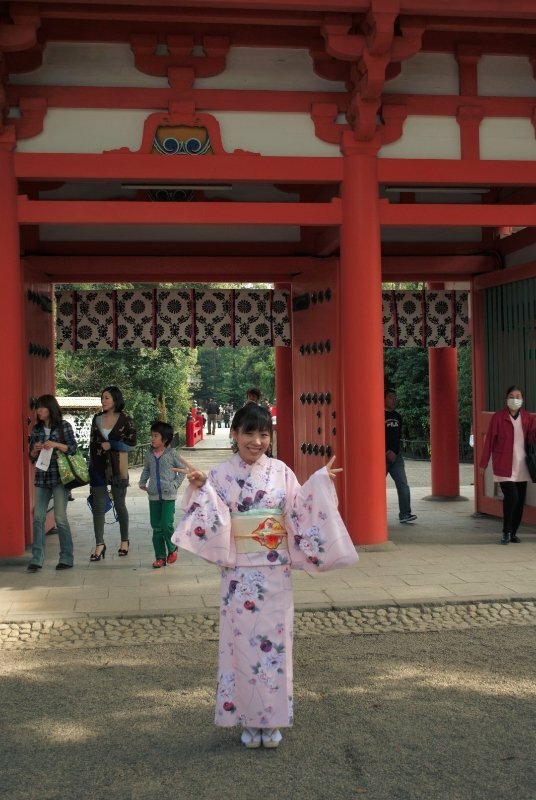 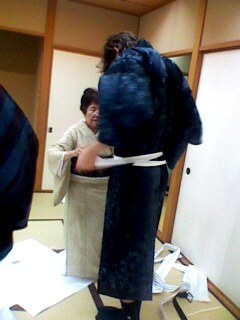 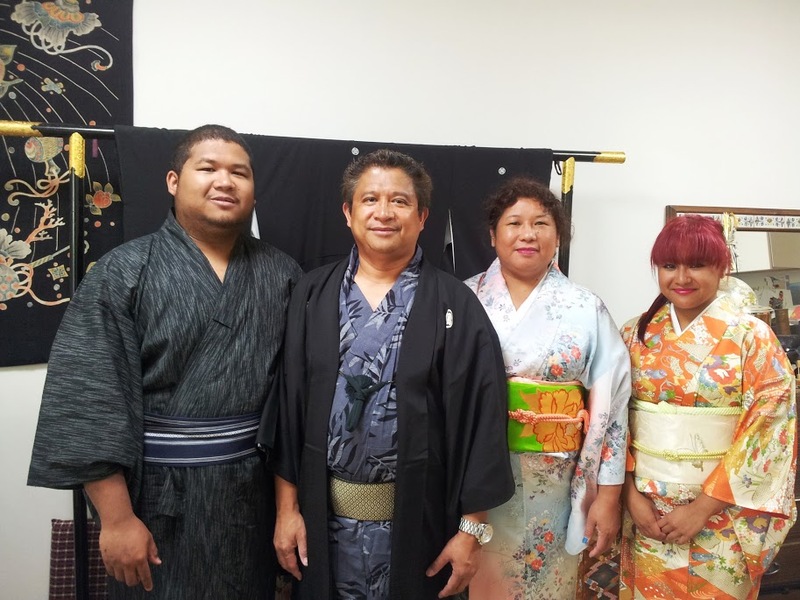 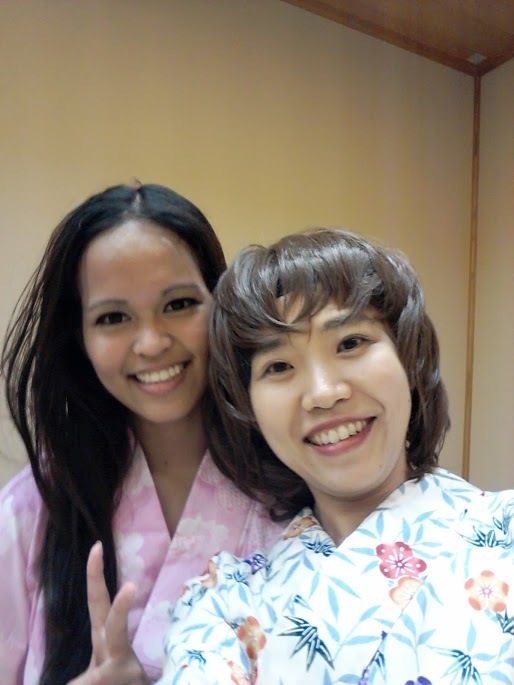 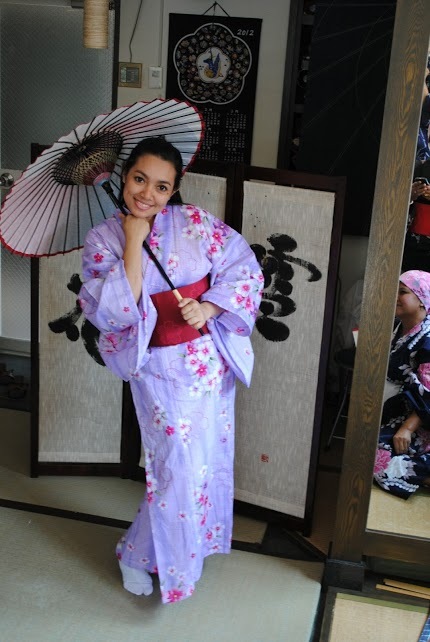 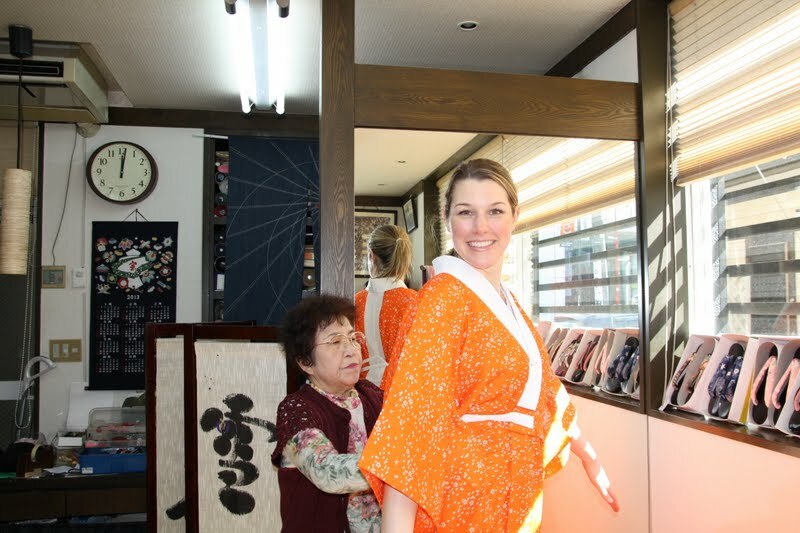 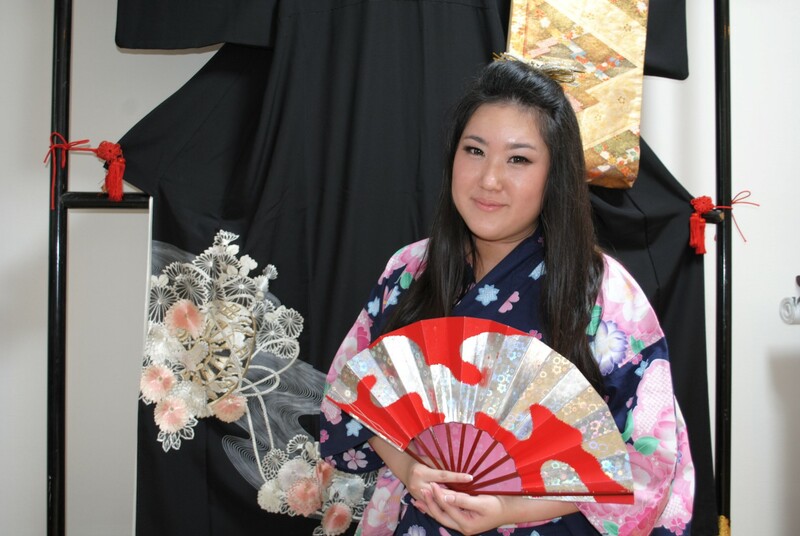 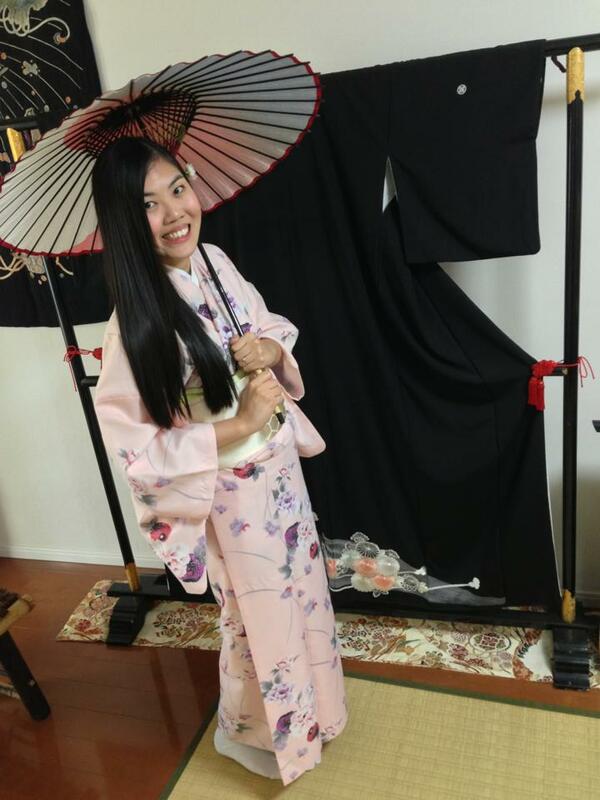 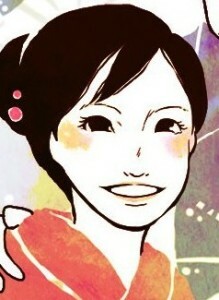 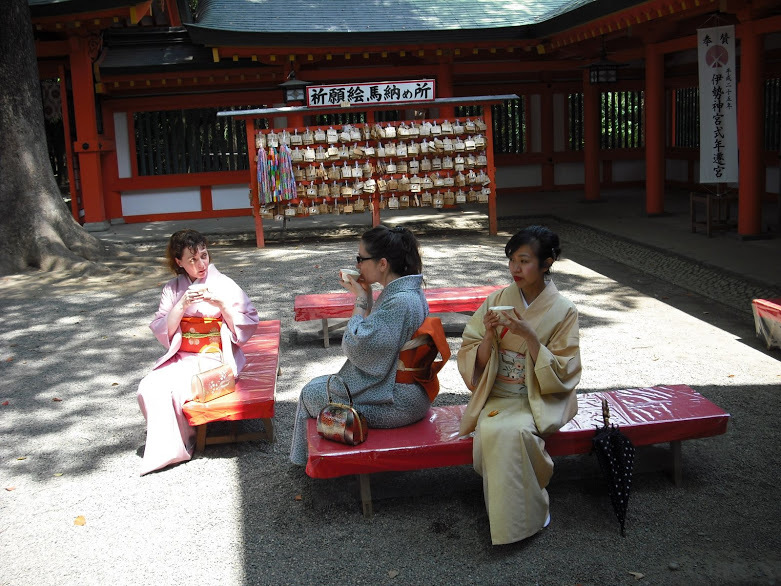 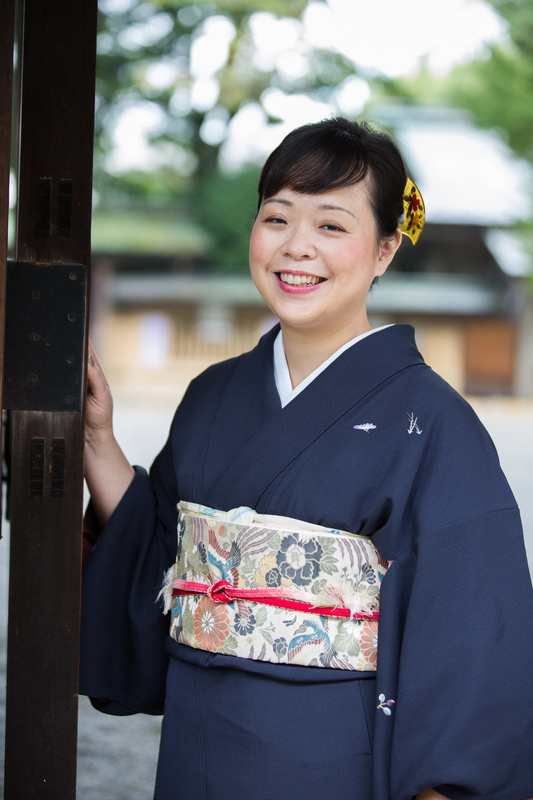 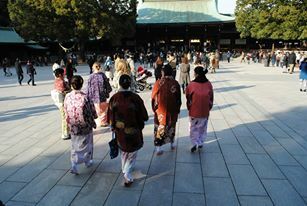 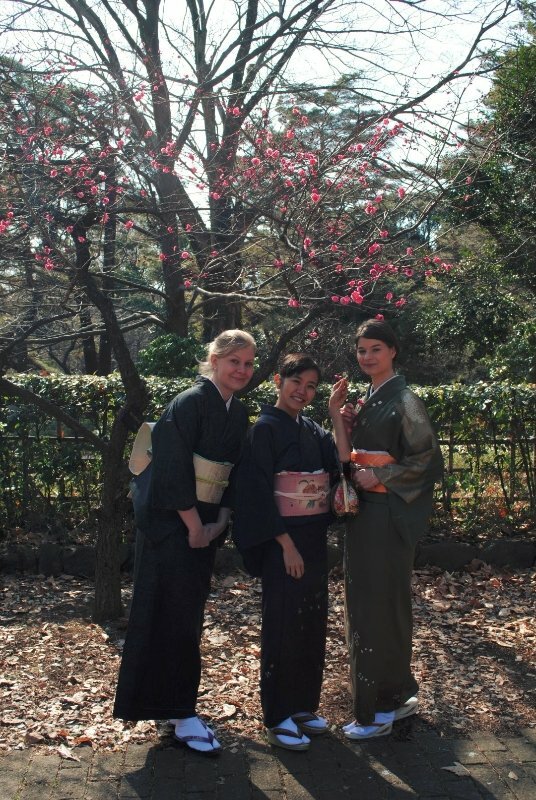 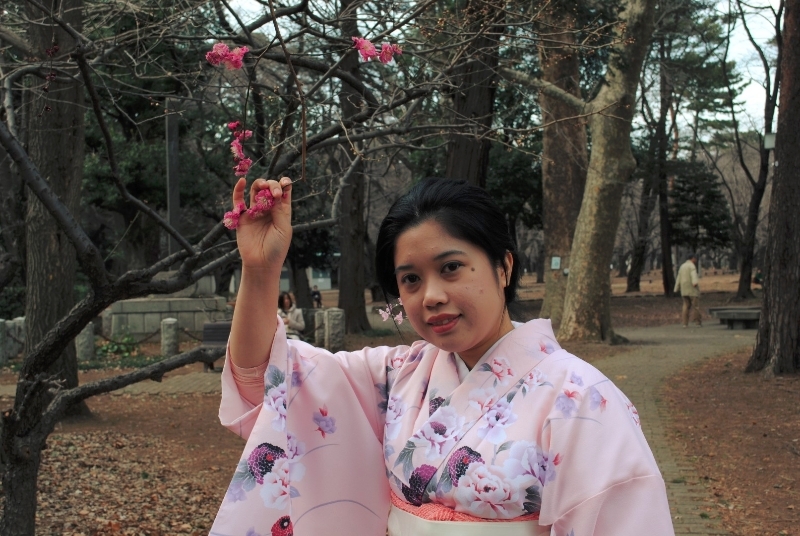 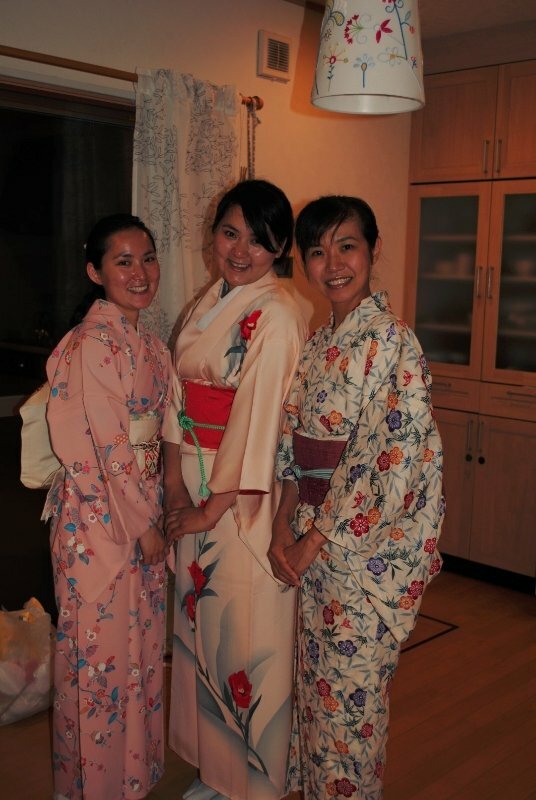 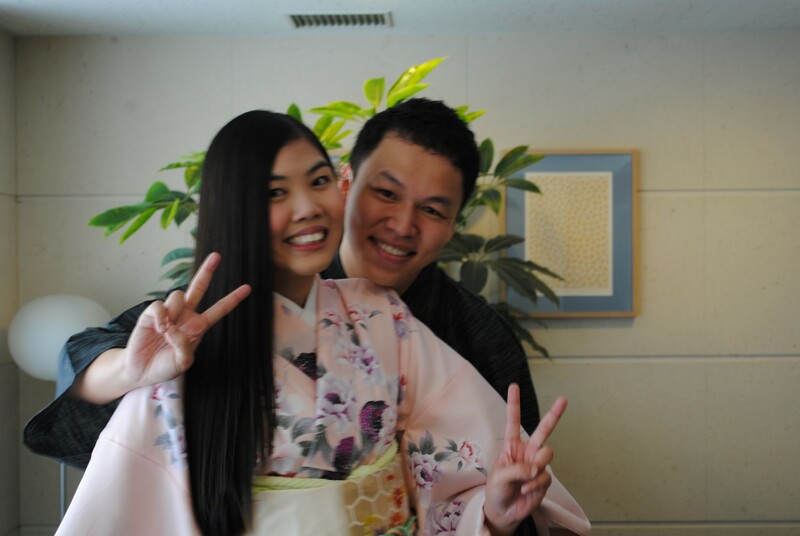 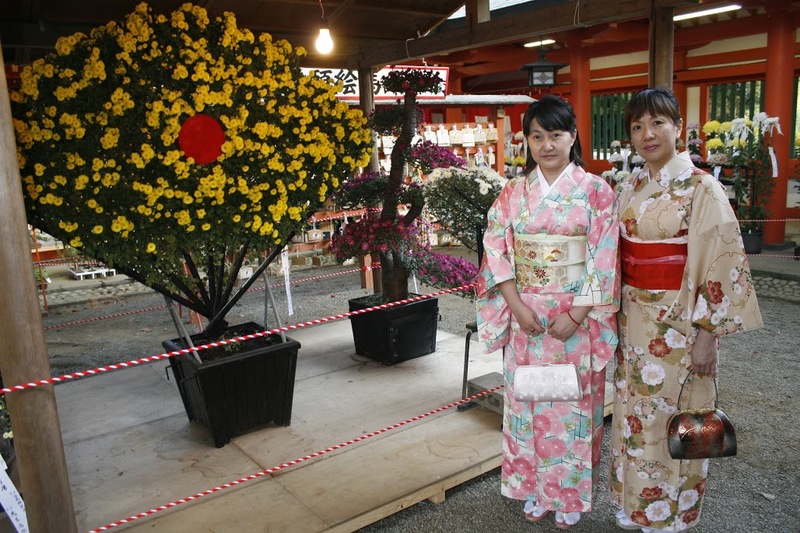 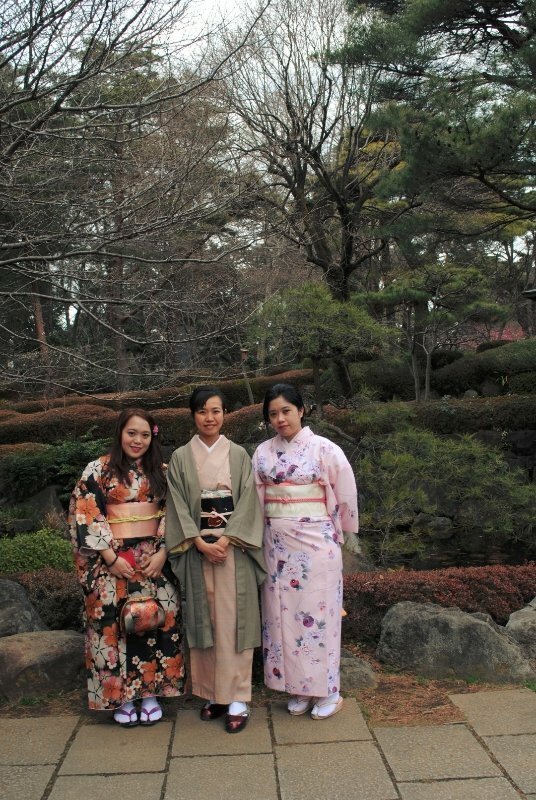 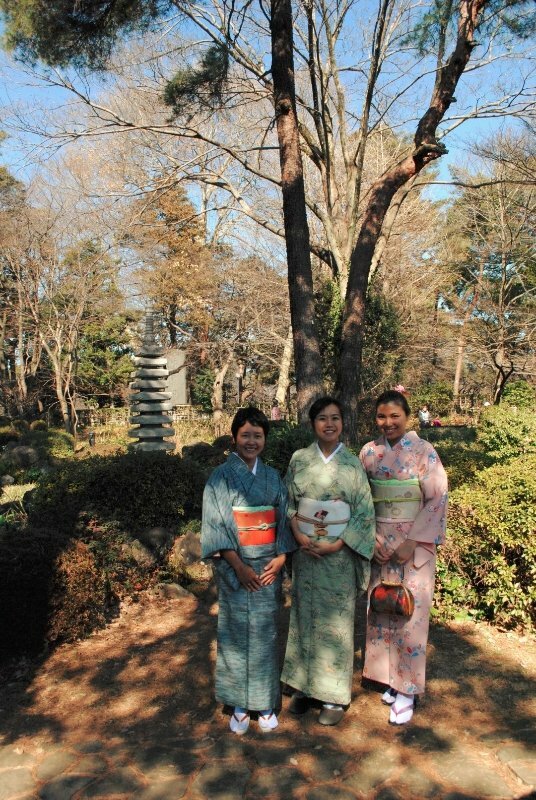 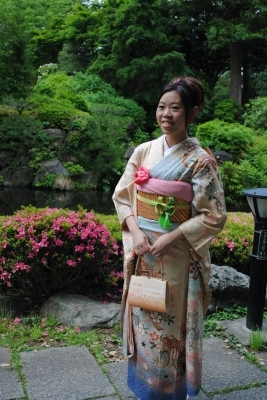 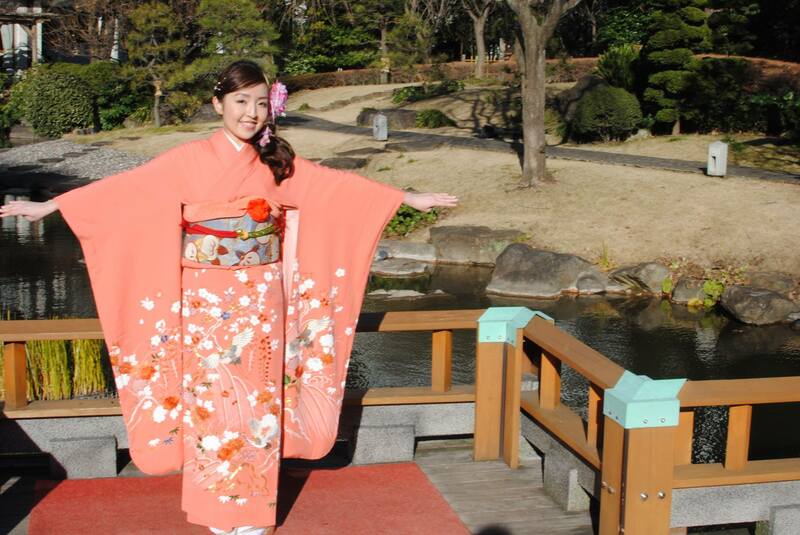 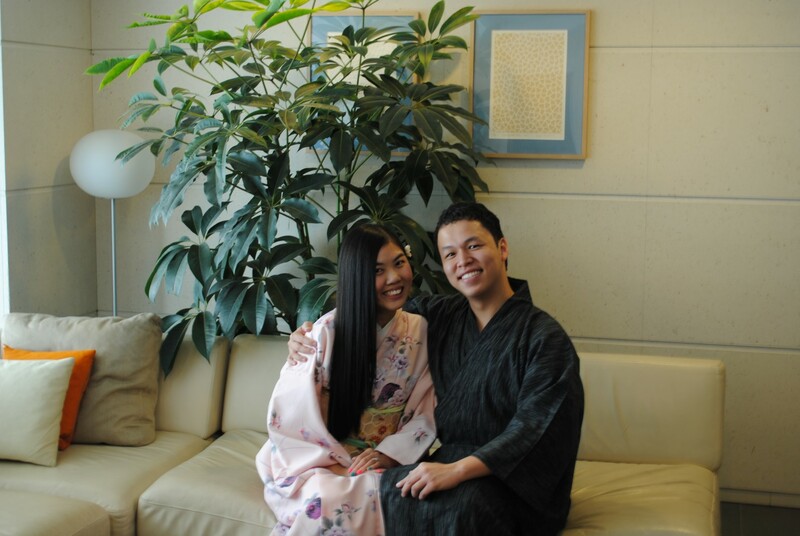 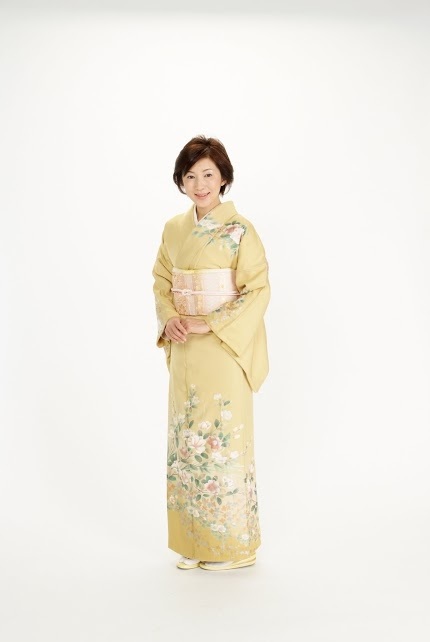 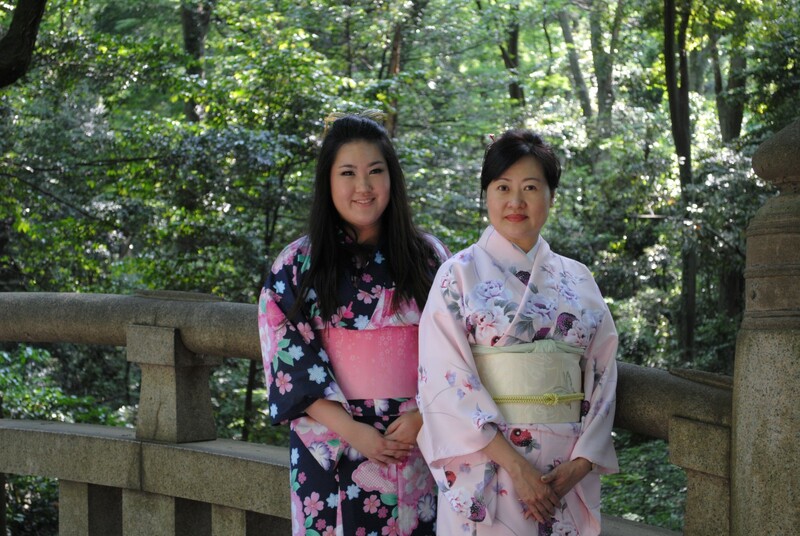 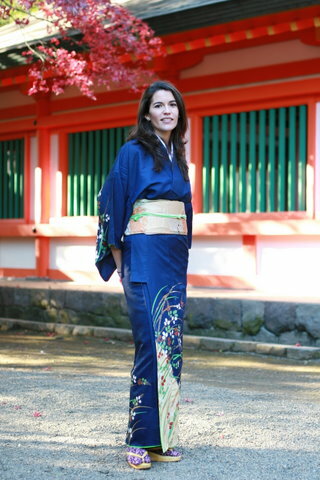 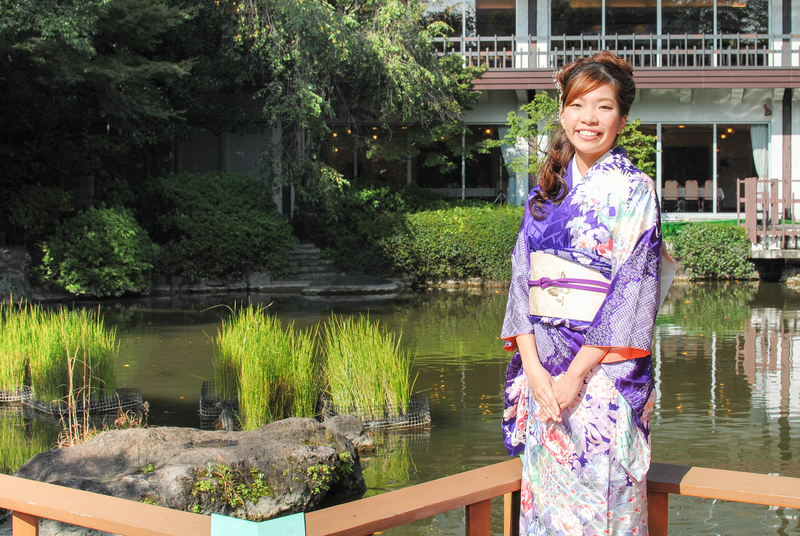 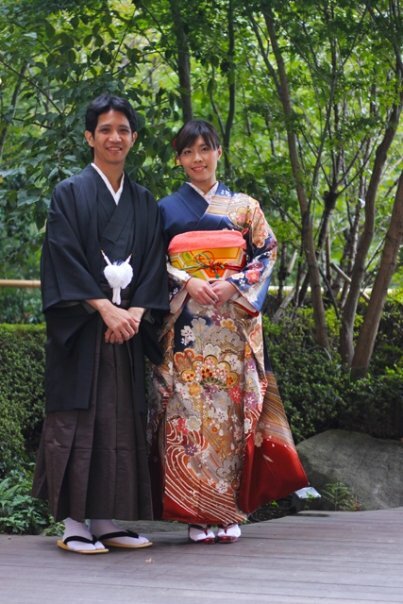 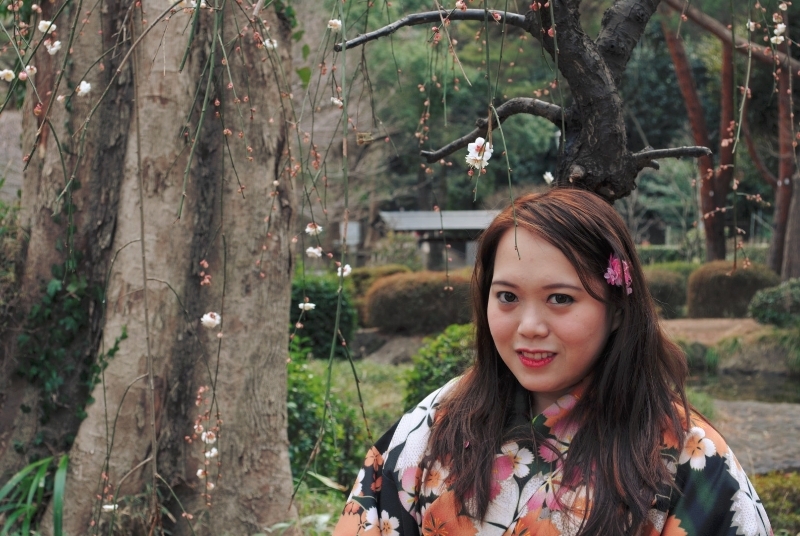 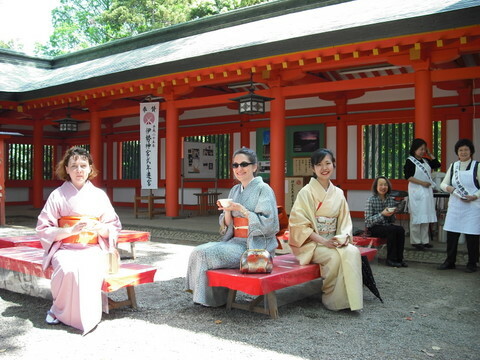 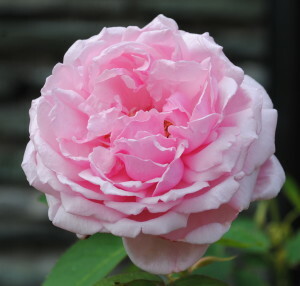 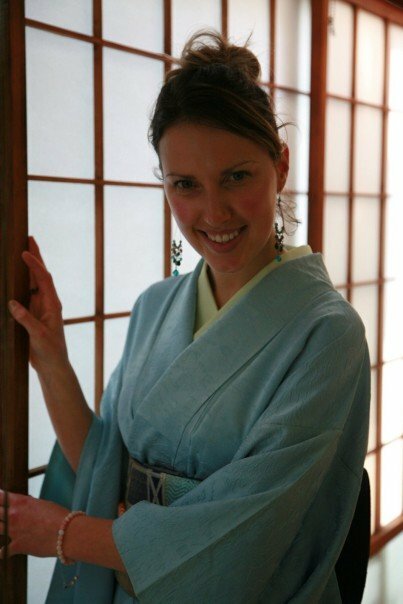 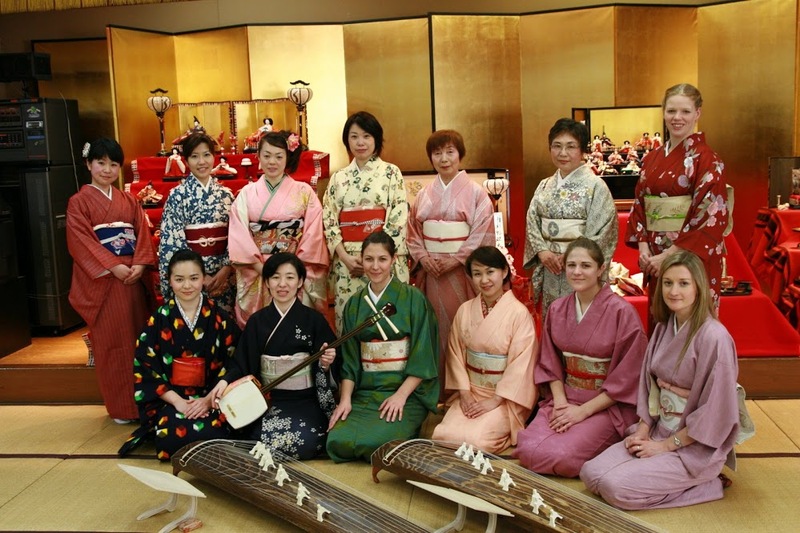 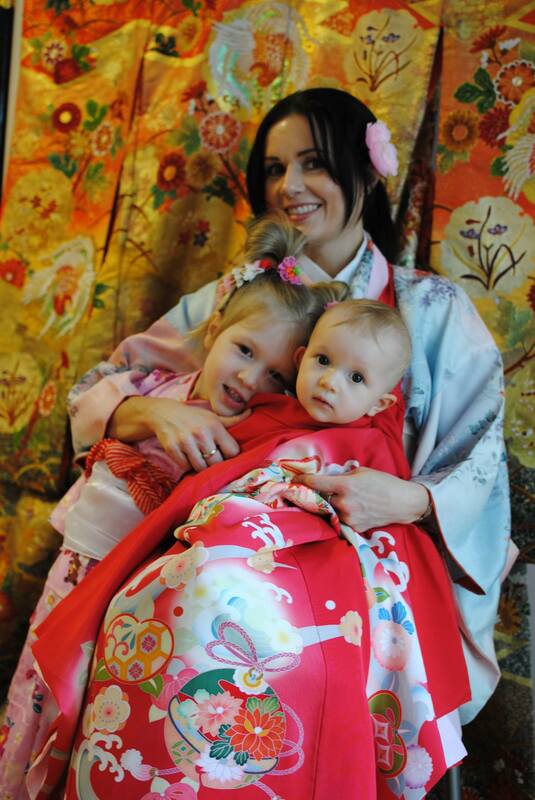 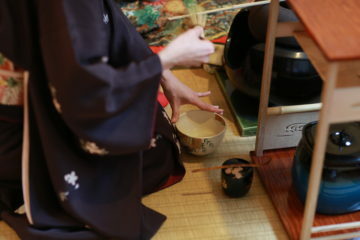 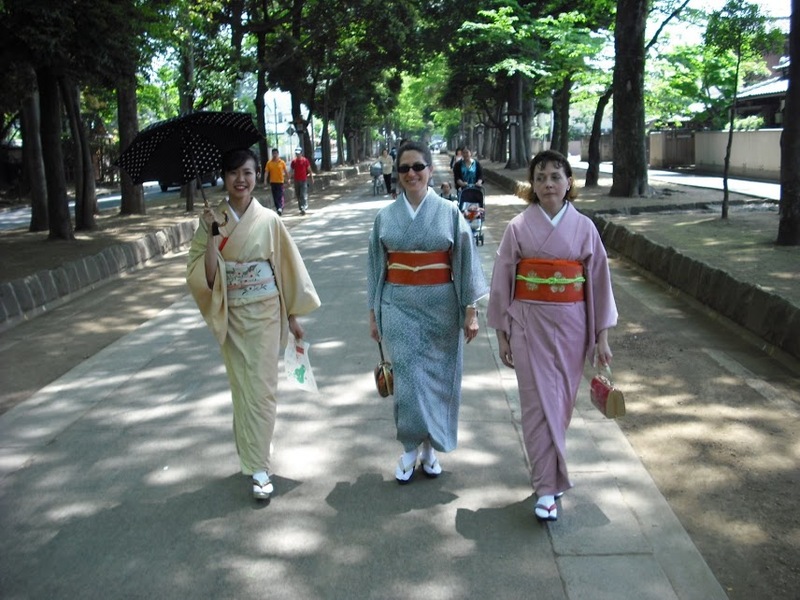 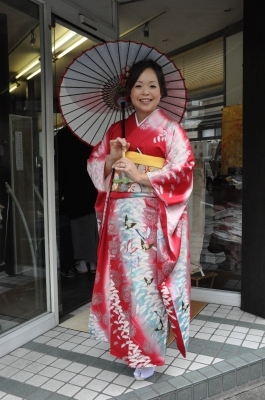 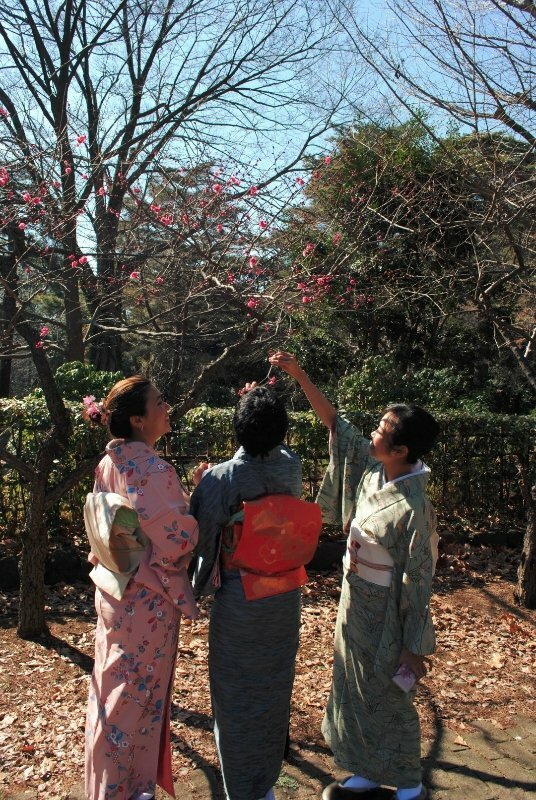 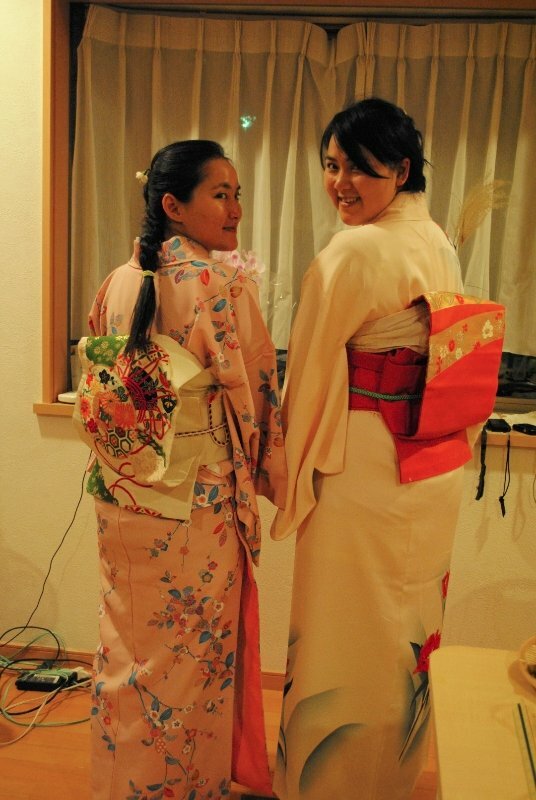 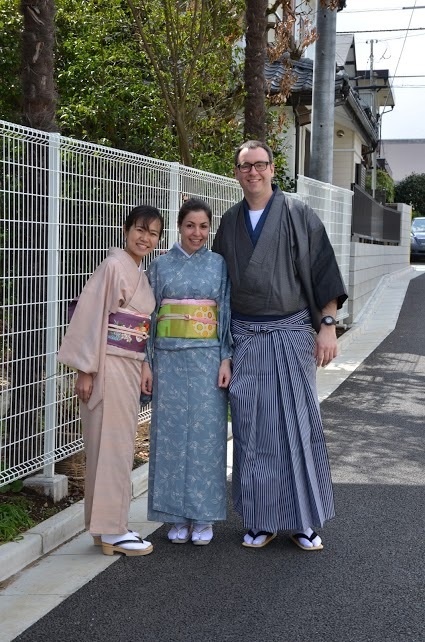 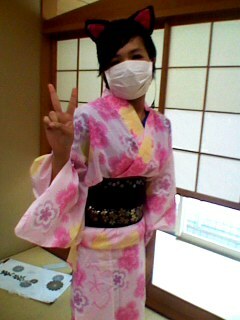 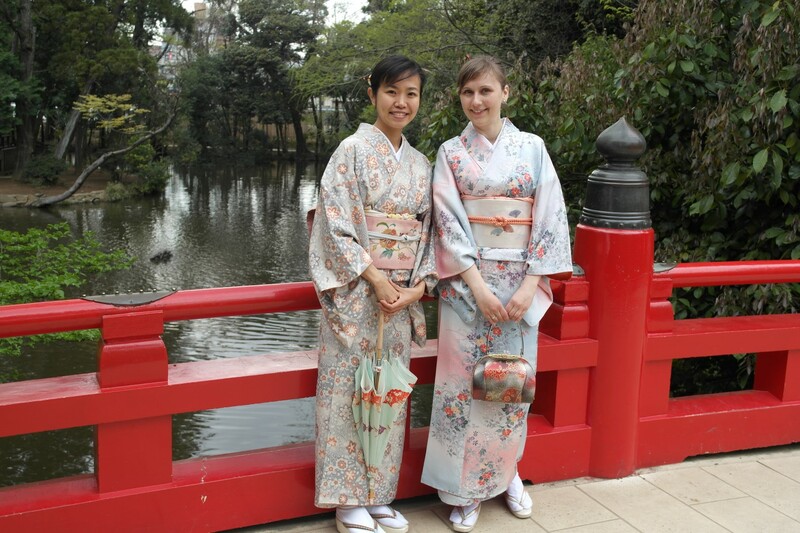 Now I have started a Kimono experience and rental & sale salon in Tokyo to meet more friends from all over the world. 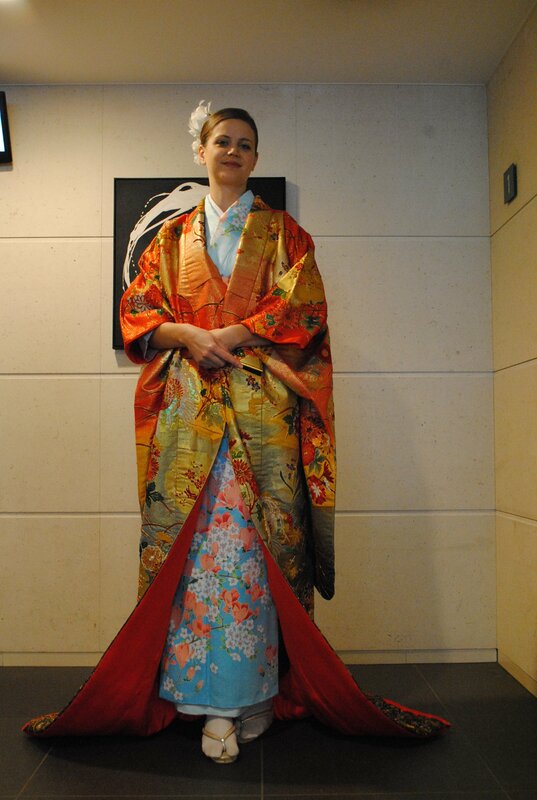 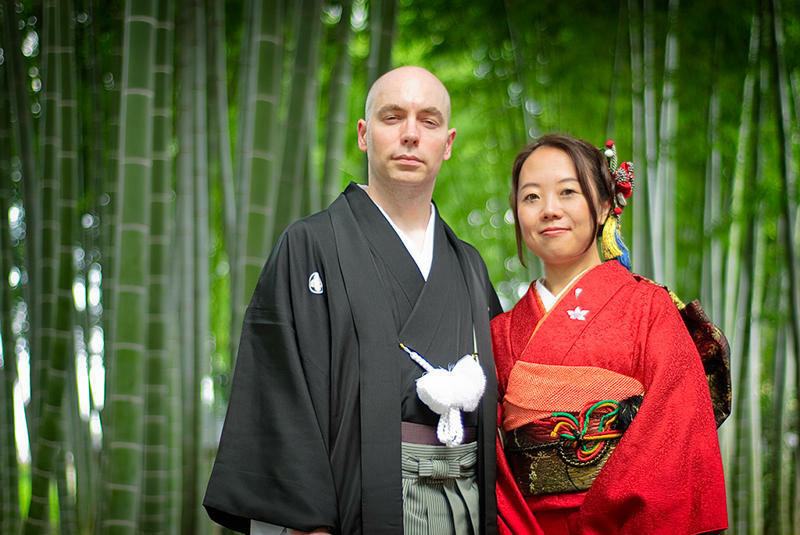 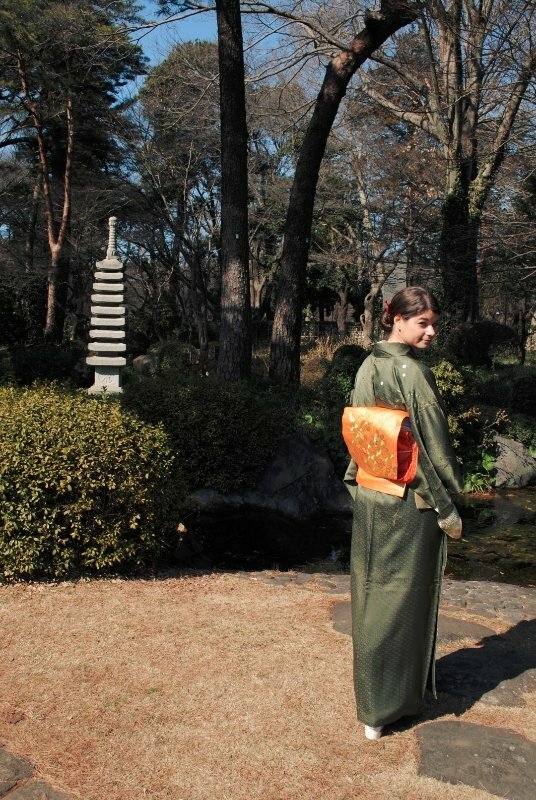 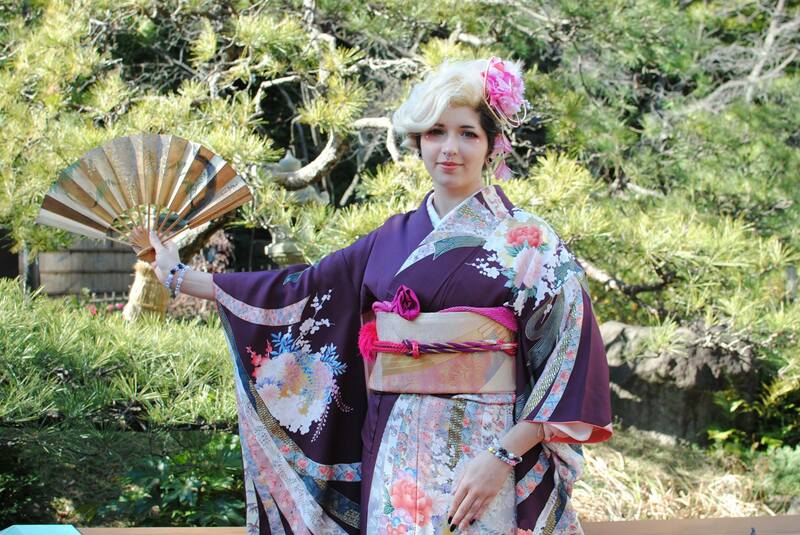 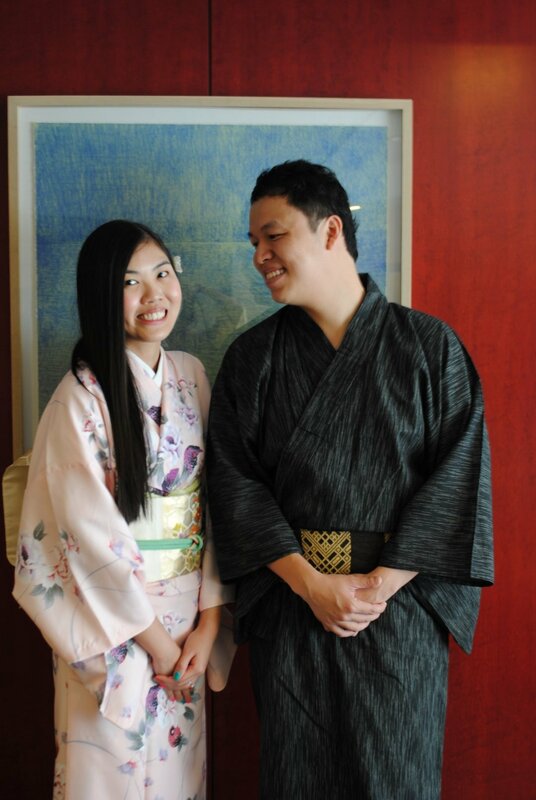 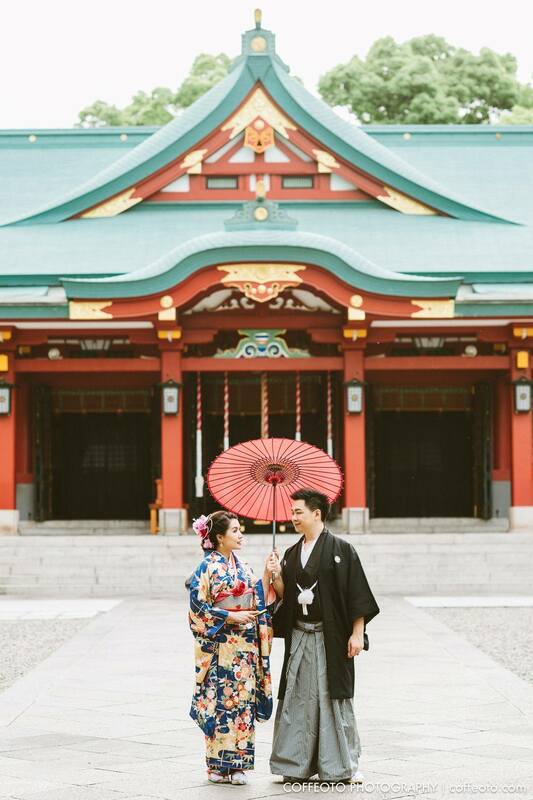 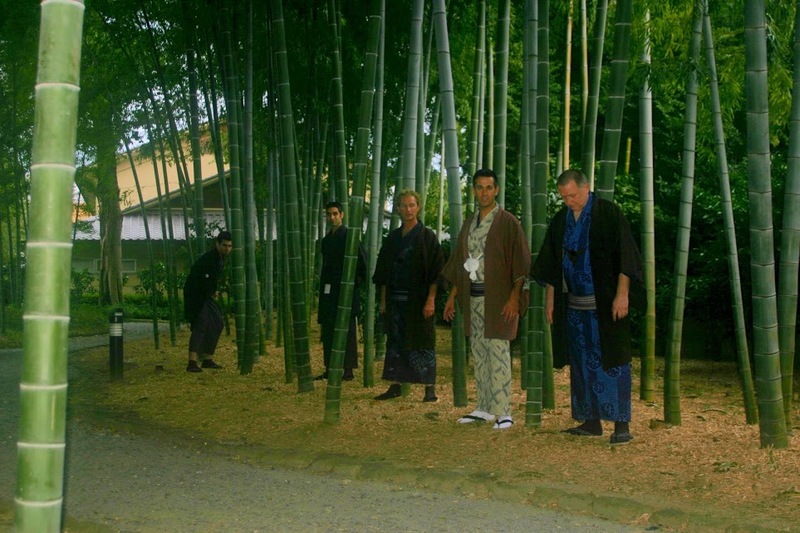 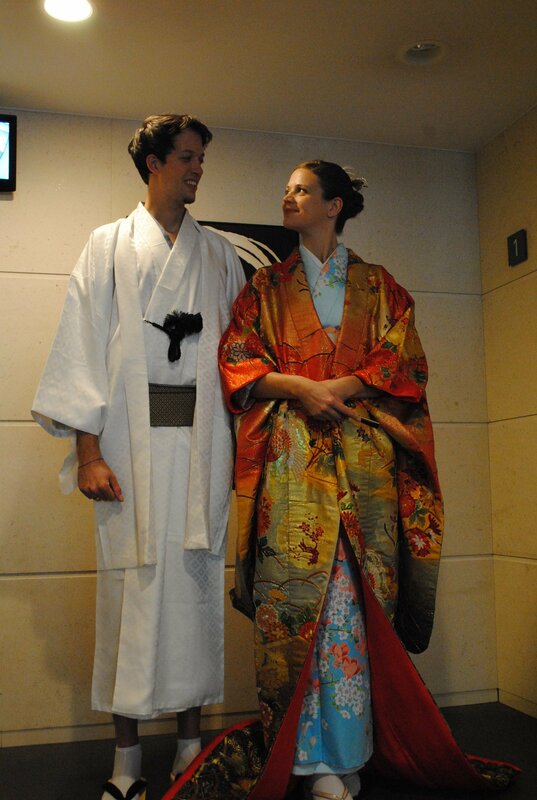 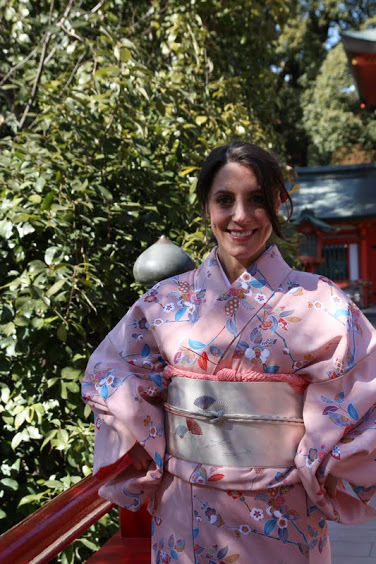 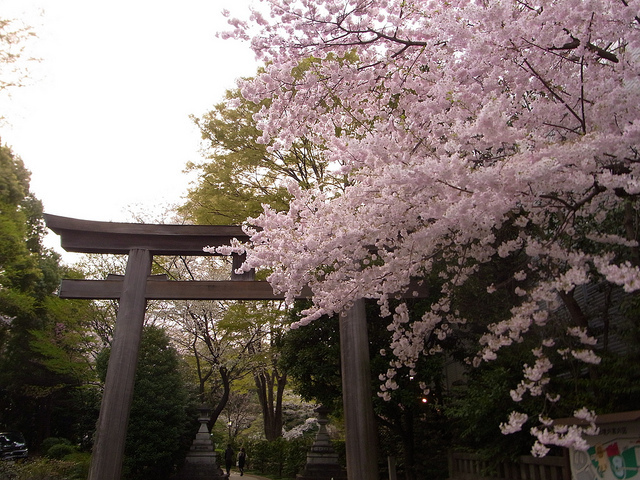 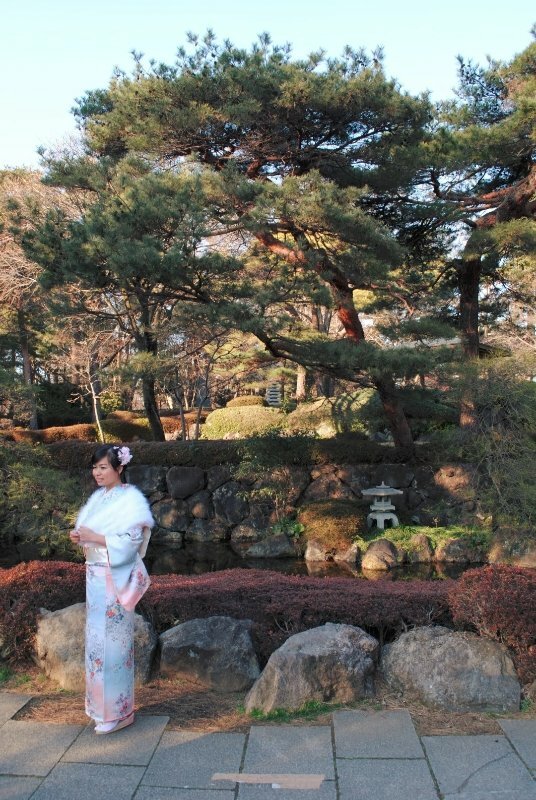 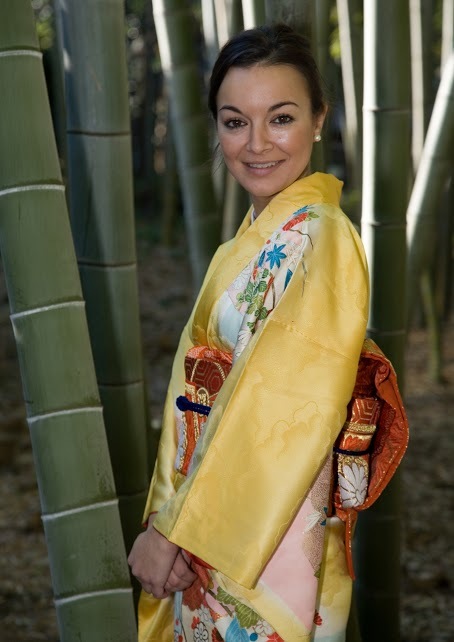 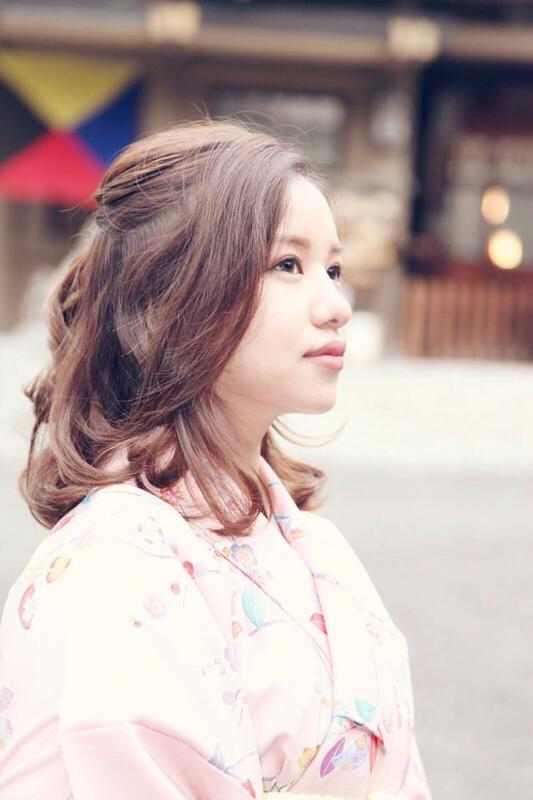 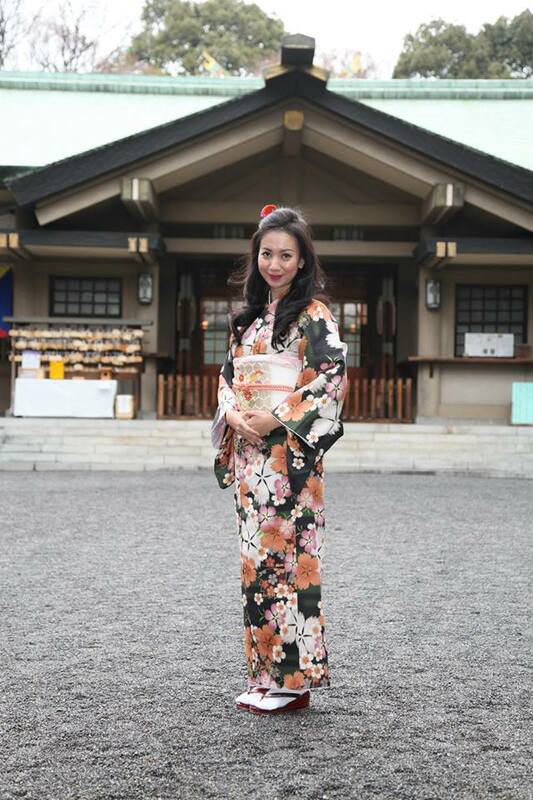 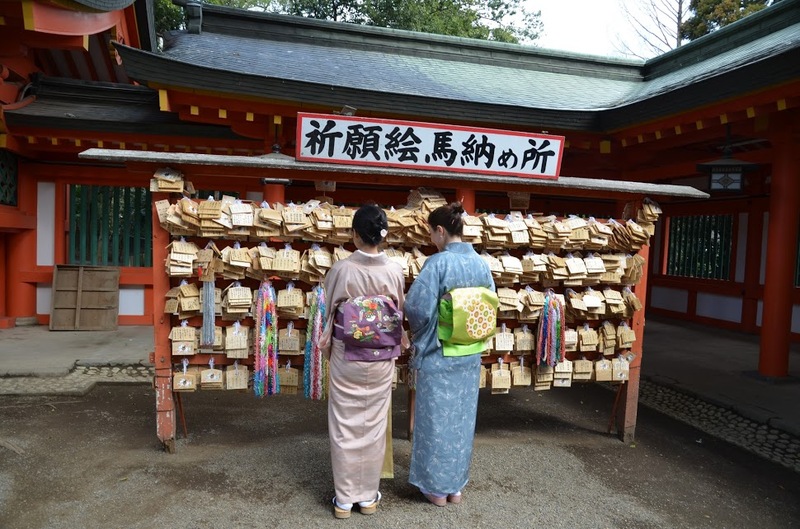 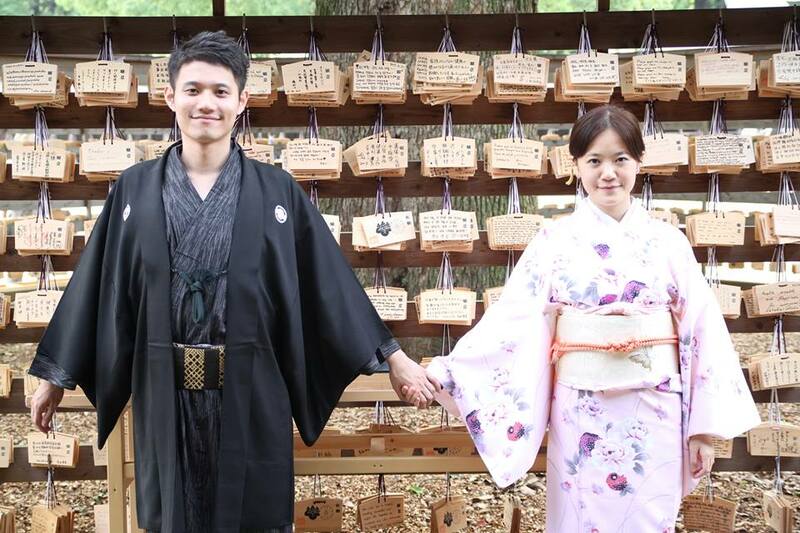 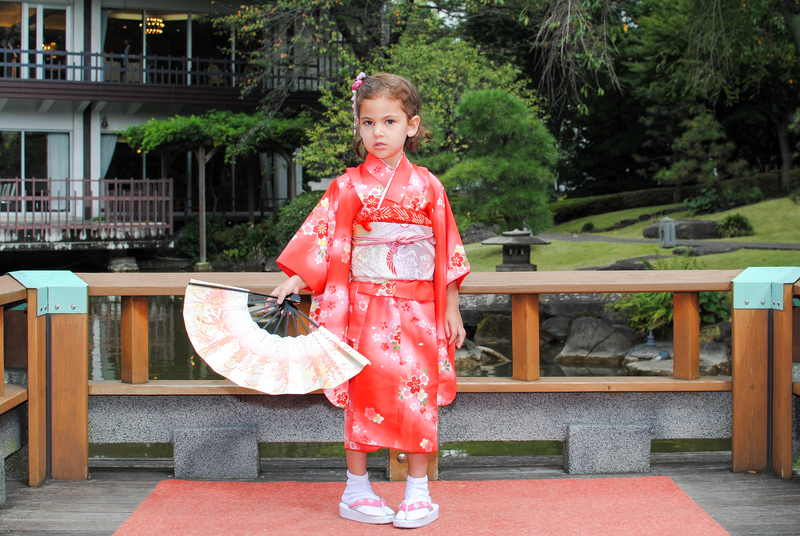 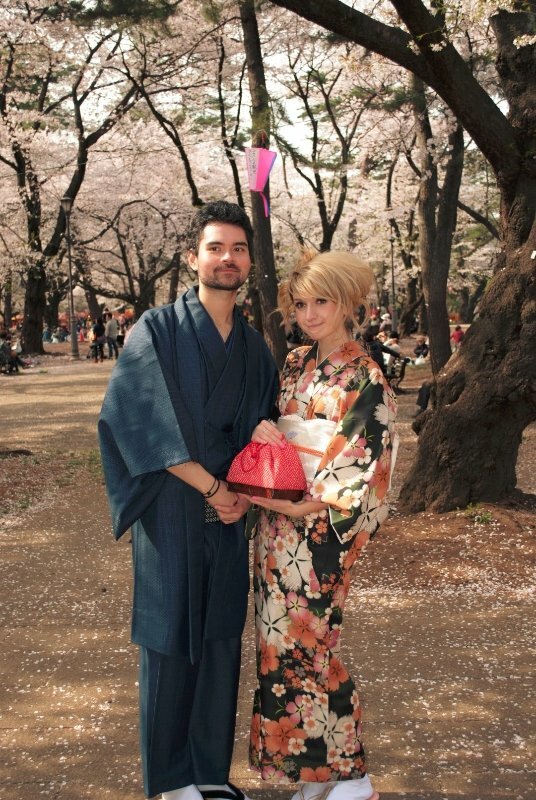 If you try our Kimono and find some Japanese traditional & peaceful philosophy, I feel very honer of it. 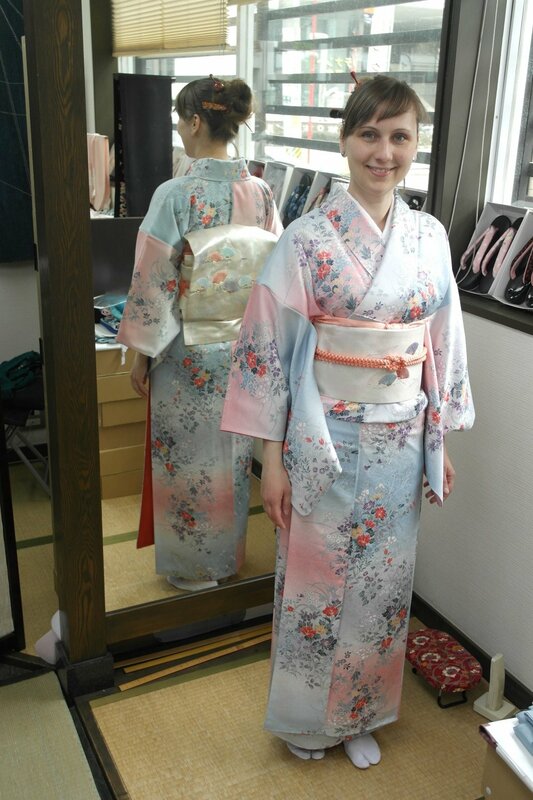 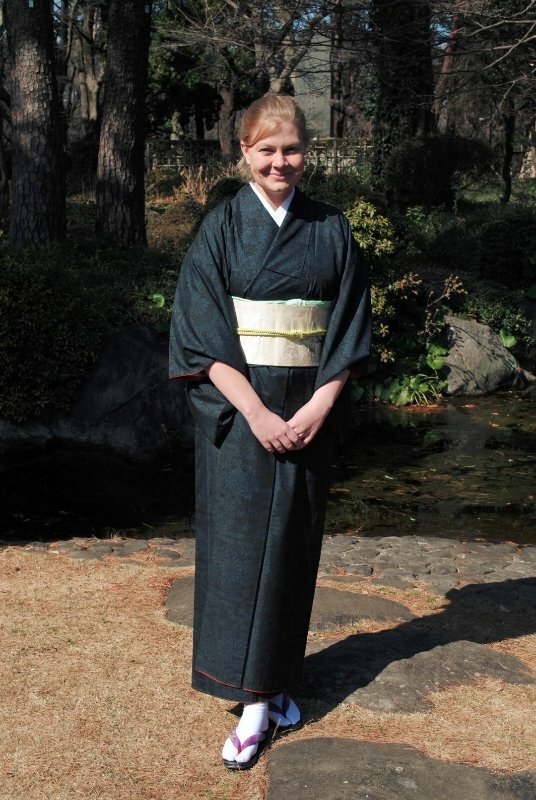 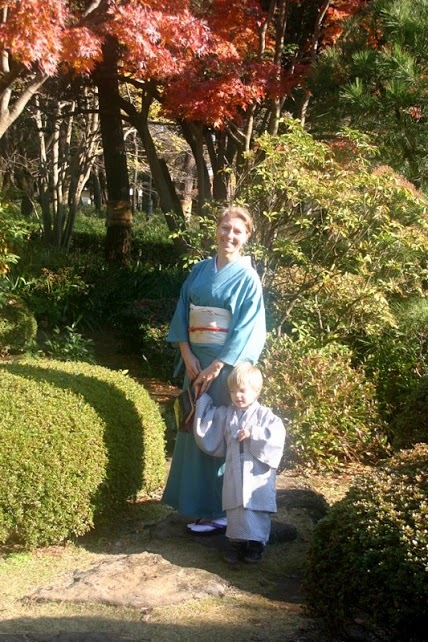 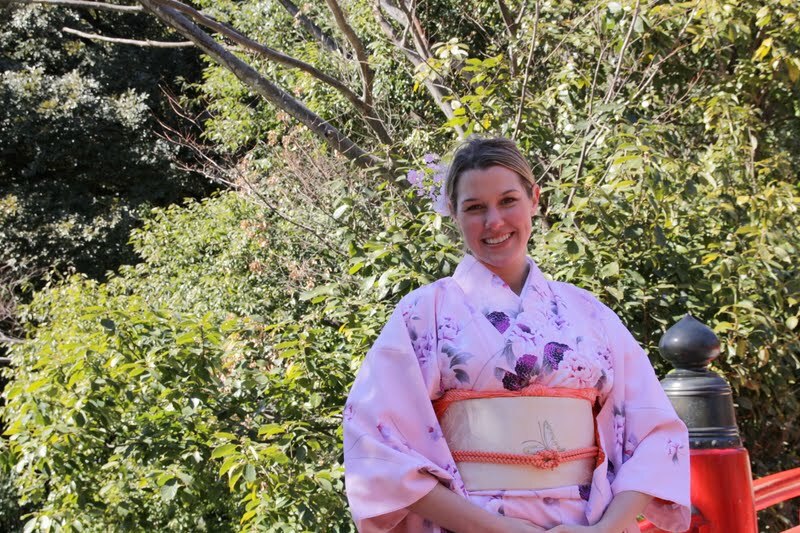 My family runs a Kimono shop over 50 years in Omiya but I had never wished to take over it until studying at Norway at 2005 then I had found how Kimono was unique culture and important for me . 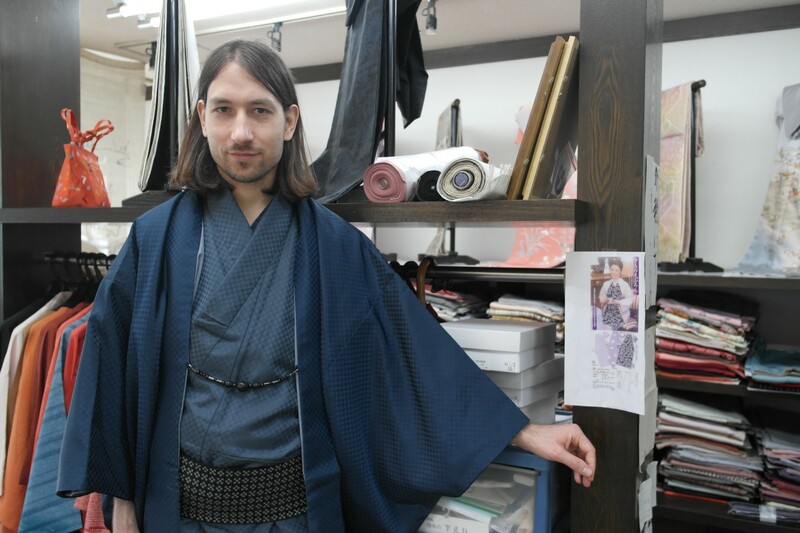 Then I decided take over the Kimono shop. 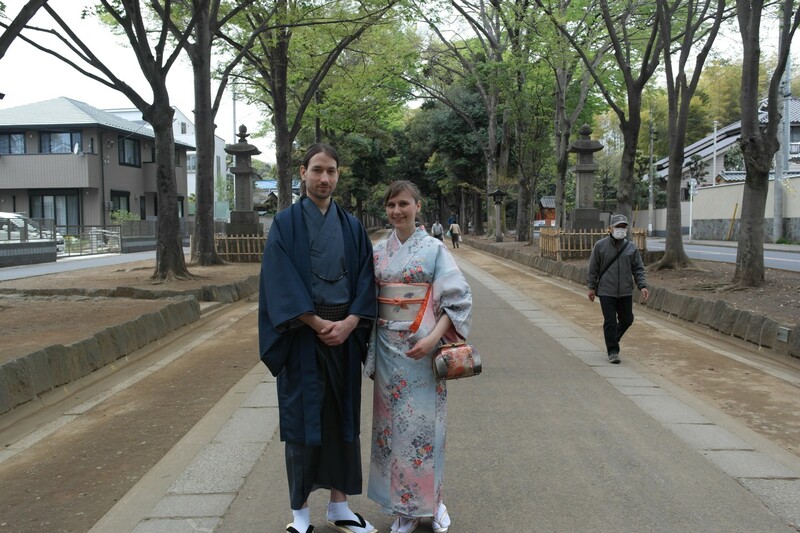 If you are interested in my challenging here is my blog and history, please have a look at! 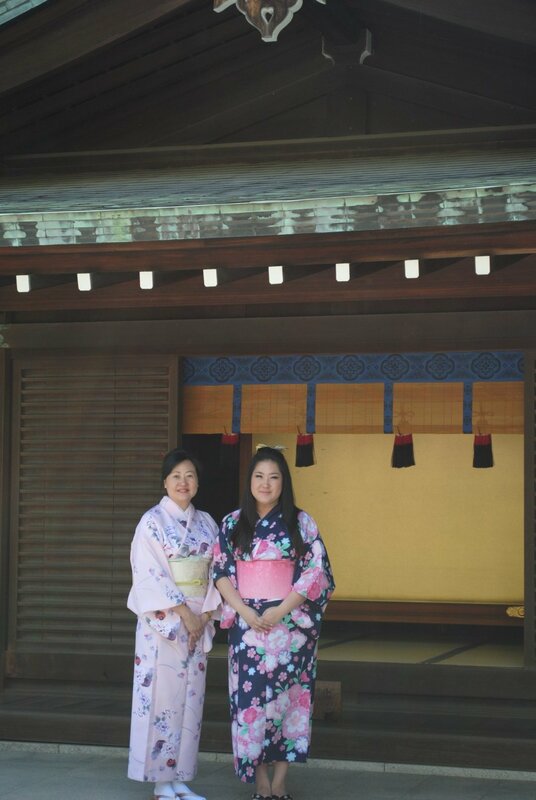 Founded 20th September 1959 by　my mother and late father and uncle had as small department star in Omiya where our main shop is even they did’t know anyone in the city. 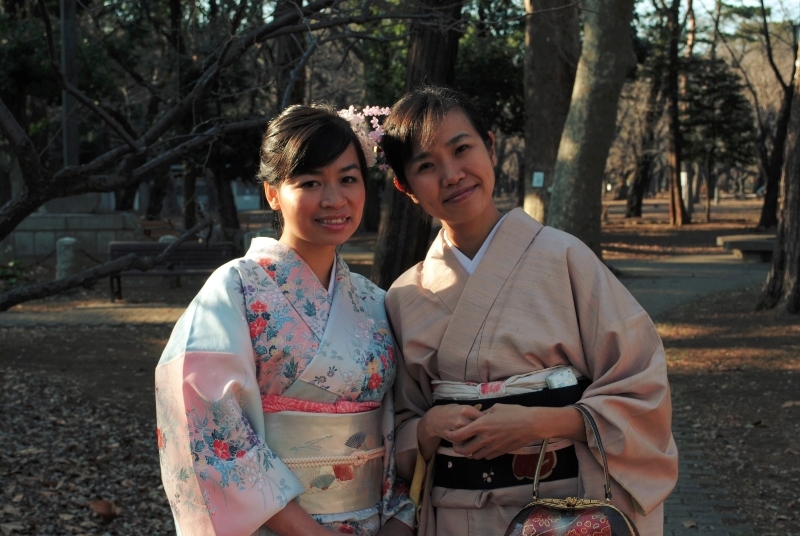 They came from Ehime/Shikoku a southern island in Japan. 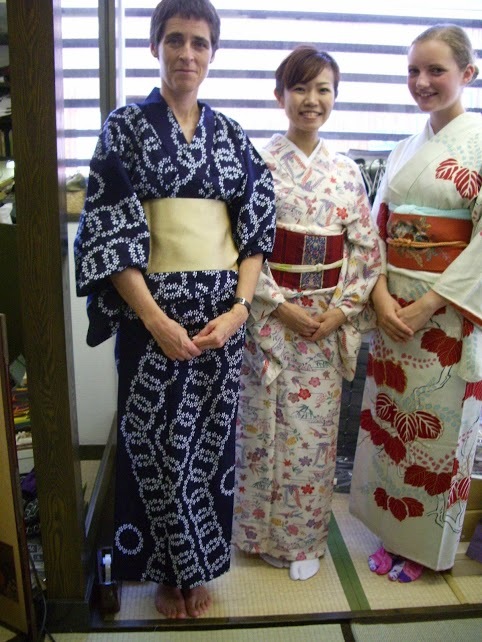 After　few years later of WW2, Japan started a good economy, many Japanese wanted to buy new products. 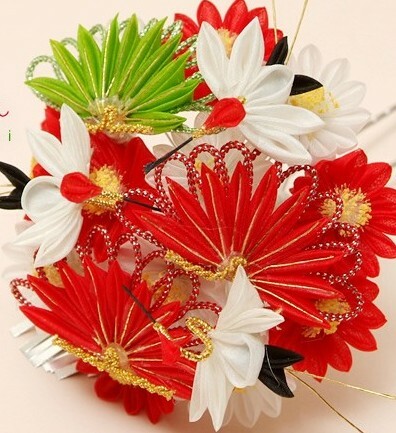 Our shop fitted this demanded since our shop trusted customers　and made a loan without putting up collateral. 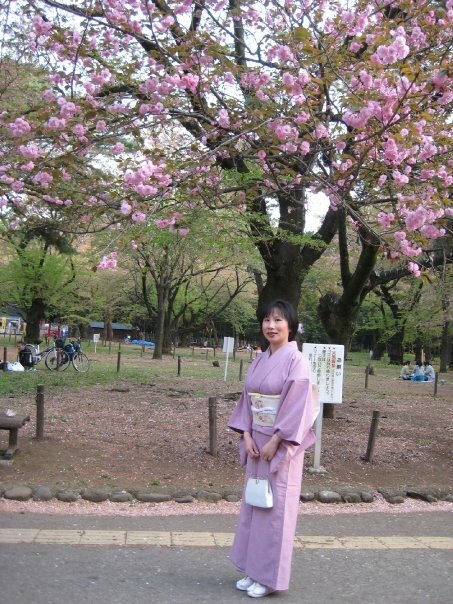 I wrote some of my parents history here and like to write it more soon.